This is where the humble mulberry comes in. The mulberry tree is a deciduous tree found all over the world with a huge supply of sweet berries that are often overlooked in urban environments. It is even considered a weed tree in many parts of the world (California Rare Fruit Growers, INC). There are many types of mulberries including black, red and white, and currently there are an estimated 10 to 17 different species of trees classified as mulberry. Every June the berries become ripe in my region, so I go around and pick berries straight off the trees. The tart berries are excellent in pies or fruit fillings, and the ripe berries are excellent just by themselves. I do highly suggest giving the berries several good washes though. This compote is a simple dish using beautiful fruit collected on a short bike ride around town. The berries provide a sweet and rich flavor while the malic and citric acid of the lemon juice provides a mouth-watering tartness. 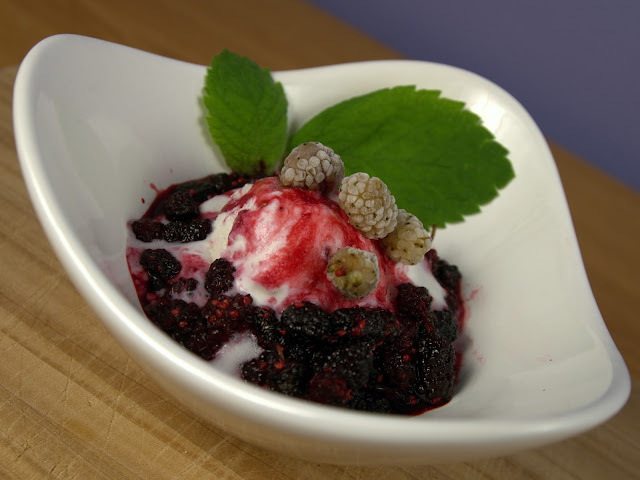 This compote can be used any way you wish, I simply serve it warm over a scoop of Ice cream. Add the rest of the ingredients into a sauce pan. Cook over medium heat until liquid is released and berries become soft. 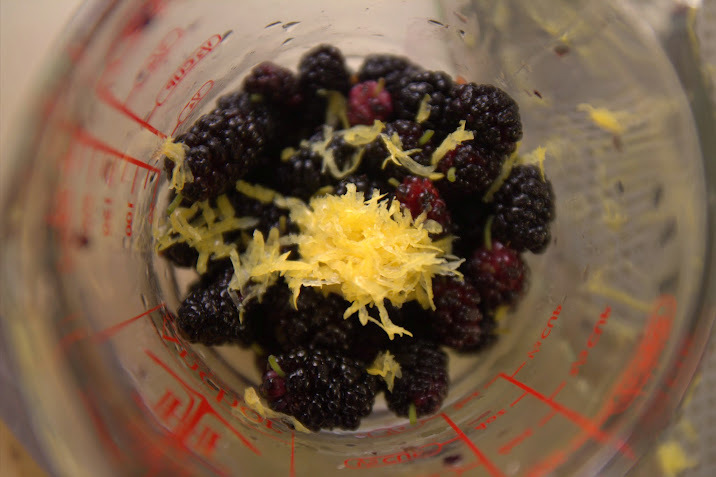 Add the reserved Mulberries and Zest and cook for another 5 minutes over low heat. "Mulberry." Mulberry. California Rare Fruit Growers, Inc, 1997. Web. 7 July 2014. 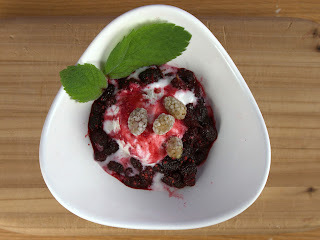 <http://www.crfg.org/pubs/ff/mulberry.html>.